There is so much rich inspiration to draw upon when designing a small family home. If you love creating wall decorations and furnishings, there's loads to explore when decorating a small children's bedroom. 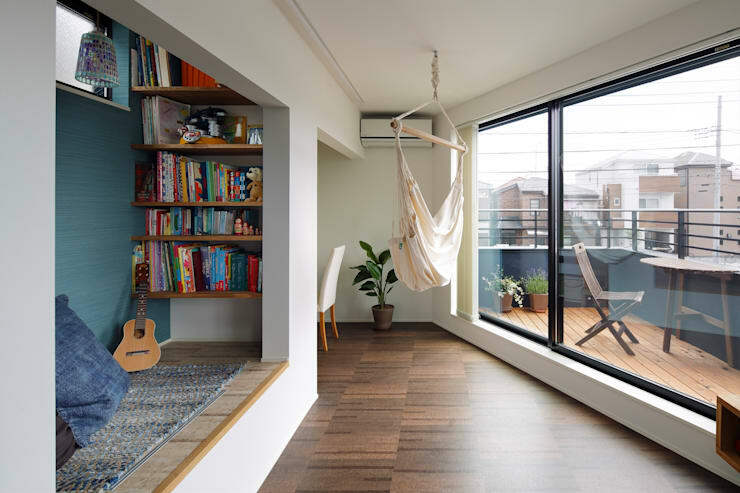 If you have teenage children, there are also lots of cool ideas to integrate reading and studying nooks into the home. Let's not forget that family homes often need to be really hardy as well. This means there's no time for messing around with faddish trends, and more reason to invest in quality furniture that will stand the test of time. So, to help you along the journey of designing a small family home, we have collected some of our favourites. We hope you enjoy 7 inspiring family homes as much as we do! 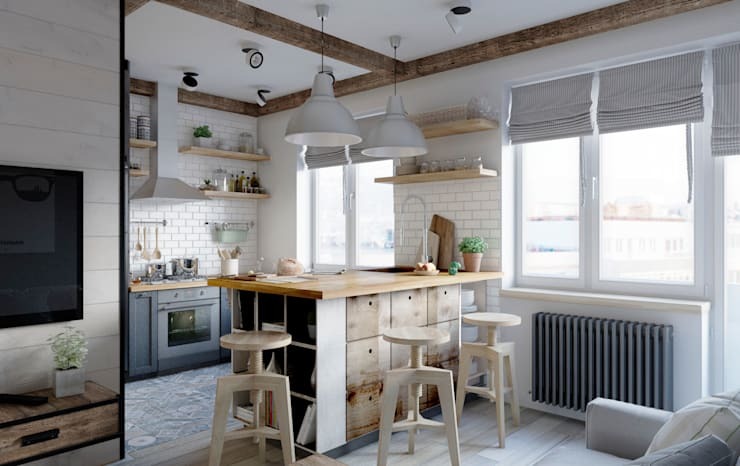 The kitchen is often the heart of a family home. In this family-sized apartment, the kitchen has lots of chunky wooden furniture. It looks bright, incredibly sturdy and totally exudes that comforting family-style cosiness. This cool little family home was built on an awkward shaped block. 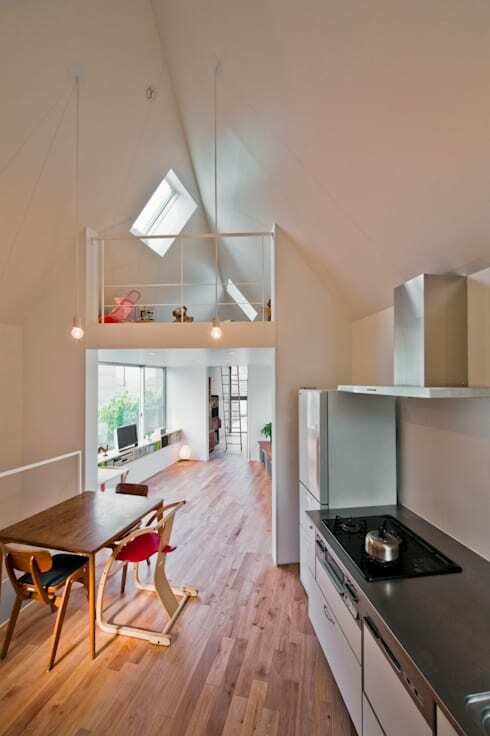 The architects have built upwards and used the unusual second level to create an awesome roomy loft area. It would be the perfect place for a child's playroom. Wood is certainly one of those materials closely associated with family-style homes. This single-level abode would make the perfect family-style retreat. It's definitely built to enjoy the great outdoors. Balancing the tastes of a whole family can be a little overwhelming at times. But we reckon this small family home has the balance just right. 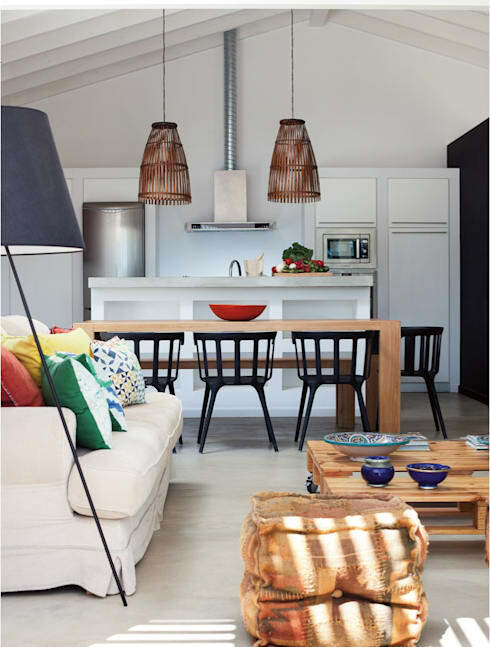 There are sophisticated splashes of colour, sturdy furnishings and lots of neutral white to hold the design together. 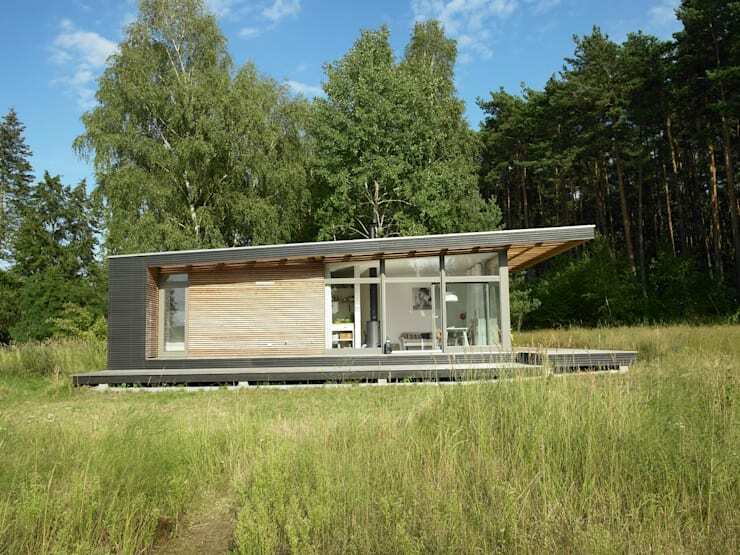 This little summer home is just 65sqm but has two bedrooms. It also has a fairly fabulous outdoor entertaining area. 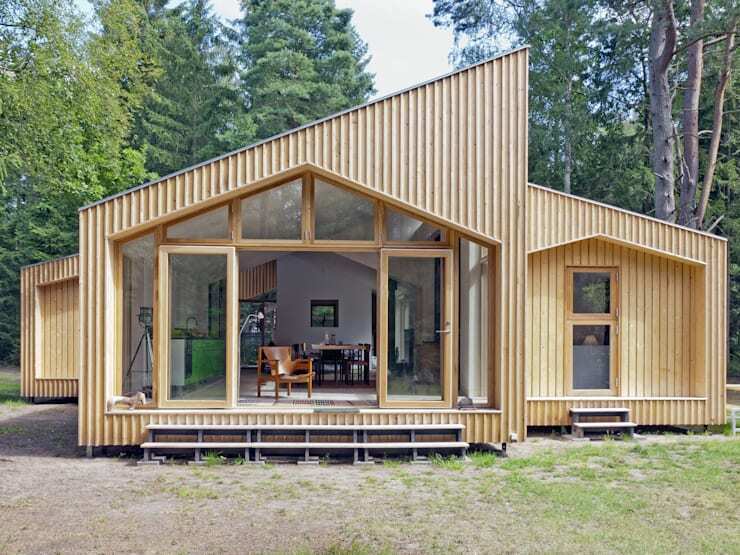 It's another small family home that would make a great holiday getaway. 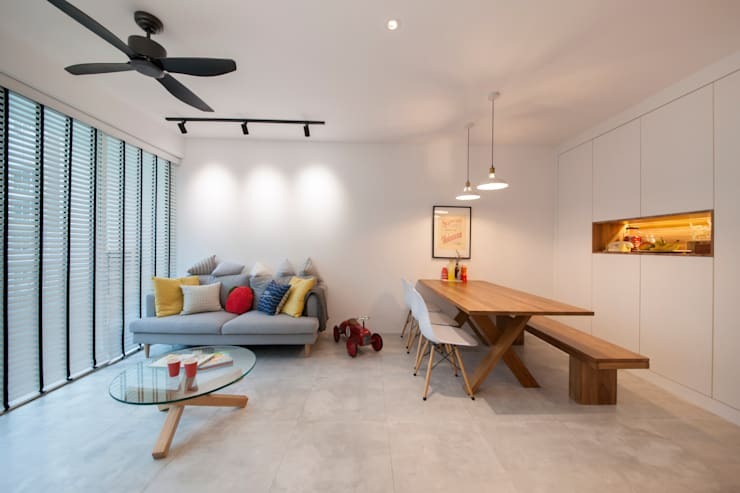 This family home from Singaporean interior designers and decorators eightytwo is simple, but perfect. It has floor to ceiling cabinets that really help to hide away all the clutter of family life. It also has a slightly industrial style concrete floor and wooden furnishings that really meet the demands of family-style living. Check out more inspiring homes here… 9 amazing Asian interior ideas to copy. What is your dream small family home? Share your thoughts with us!